……….and you must visit Cat’s fabulous on-line shop of magnificent French antiques. My experience was so magnificent that I plan to return again soon. We toured Paris the first day after arriving. 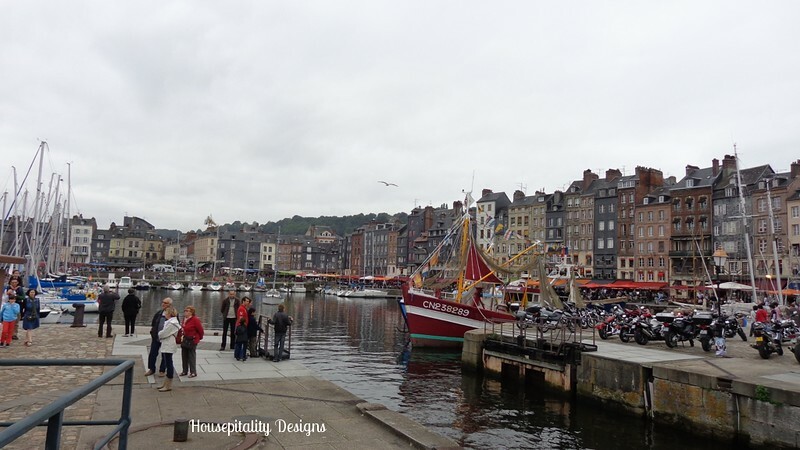 Then off to Honfleur…a magical waterfront town. …..and it has to be one of my favorites that I took. 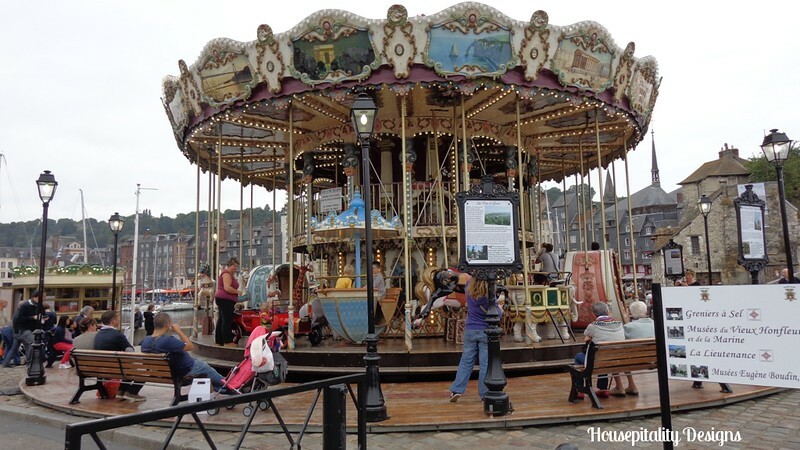 I was told by Cat (Sunday Brocantes) our gracious hostess/guide..
….that the people of Honfleur love their ferris wheels. 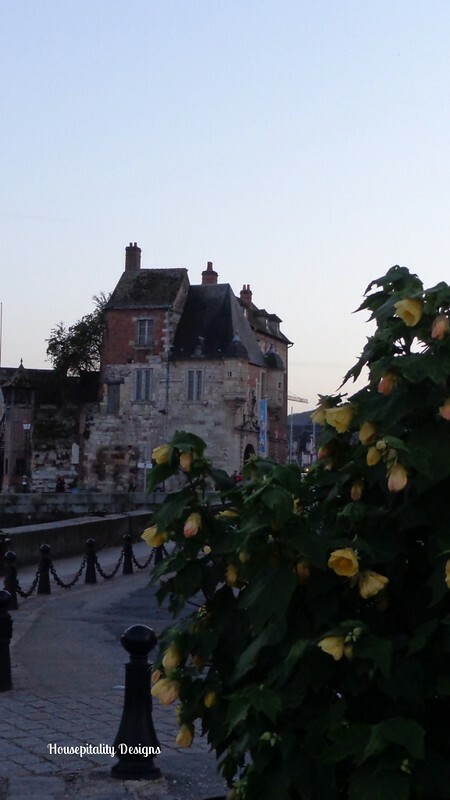 To say that this town is magical and romantic…would be the honest truth! 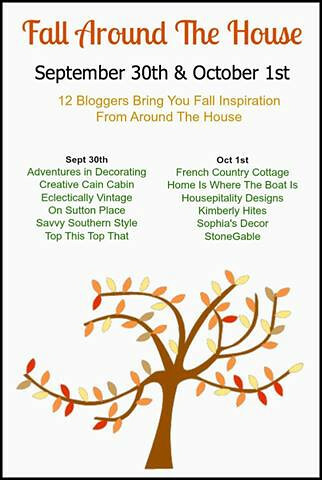 …..you can visit these beautiful blogs of fabulous Fall ideas. Beautiful photos, Shirley. They definitely show the magic. 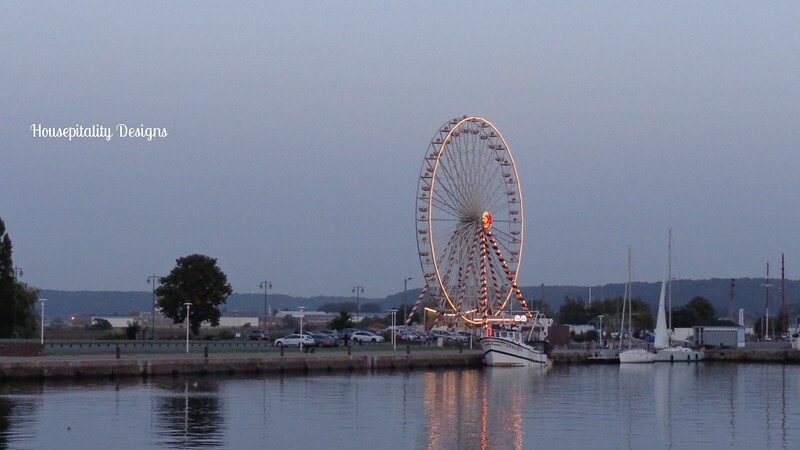 I love visiting waterfront towns…so charming. Beautiful, Shirley! It looks like a really love town. Love the marina picture with the buildings in the background. That would look great framed, too. Just gorgeous Shirley. Love these pictures they would be beautiful framed in an old ornate frame. Your pictures are beautiful and I can’t wait to see more. What a lovely place to have been able to have visited. It looks really beautiful, and you have taken some fantastic pictures. That first pic is particularly good. Tracey Steele’s recent post…Coleton Fishacre, Kingswear, Devon. Part 1. Shirley just gorgeous pictures of your trip. Oh la la!!!! Simply amazingly wonderful, Shirley. Such gorgeous images you captured! Magical, yes! This is gorgeous, Shirley! What a fabulous trip! These kind of trips are fabulous when your hosts live there! You see so many wonderful things one might miss otherwise! Shirley, theses photos are beautiful! Can’t wait to see more! Magical indeed!!! That first picture should be on their travel brochure!!!! It is gorgeous. I am so glad you had such a wonderful trip. Thanks for the virtual tour!!!!! Dear Shirley, What incredible shots you’ve got. I’ve never been to Europe but as I get older, I find I’d like to go. Paris indeed looks so romantic. Thank you for sharing. C’est magnifique!!!!!! Love it Shirley, what a fabulous trip! Good morning Shirley. Your trip with the girls looked amazing. I admit I was envious and wish I was with your girls. WOW, it looked so awesome! Looks like you had a wonderful time and the photos are beautiful. Thanks for stopping by and your kind comments. Talk soon. Lovely pics, Shirley! I’m sure it was an amazing trip! Wow, how beautiful, Shirley. You took some amazing photos, looks like you’ll have lots to choose from for framing. Shirley, You are so right it is magical. I think I have to add this to my bucket list. We stayed in Paris 2 weeks and I definitely want to go back to France. Looking forward to more of your post and gorgeous images, Great photography. When I look at photos like these, I can’t help but think of the song ‘What a Wonderful World’. How true those words are! 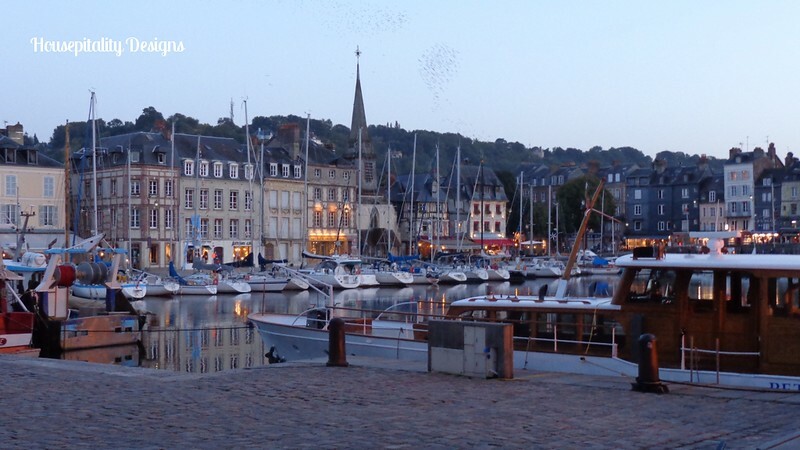 France is such a beautiful country, and your photos captured the mood and feel of Honfleur. 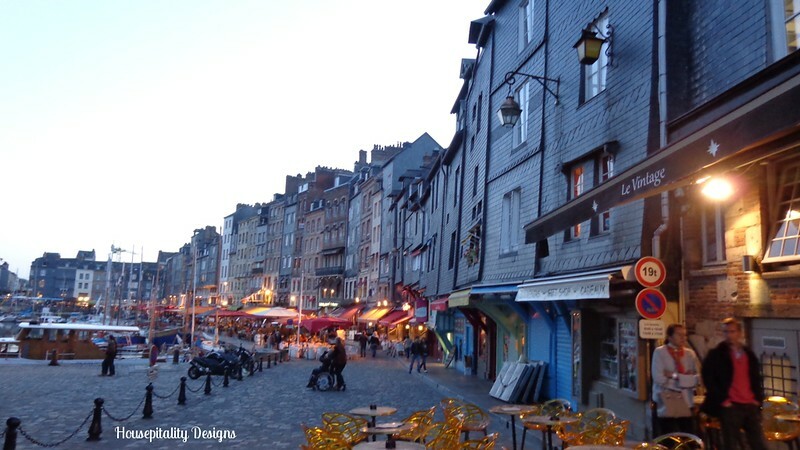 Just today I was reading an article on how important lighting is in photography and the author showed a picture of a town not too different from Honfleur in architecture (although it is in Florida) and how different it looked just as the sun set. (Similar to your first picture.) Notice how the lights on the buildings are soft and not glaring and create a romantic, magical mood. That’s hard to do during the daytime. So glad you had a wonderful trip! Doreen@househoneys’s recent post…At The Hop! I was just mentioning on Kim N.’s post that I miss it already. Your photos are gorgeous. 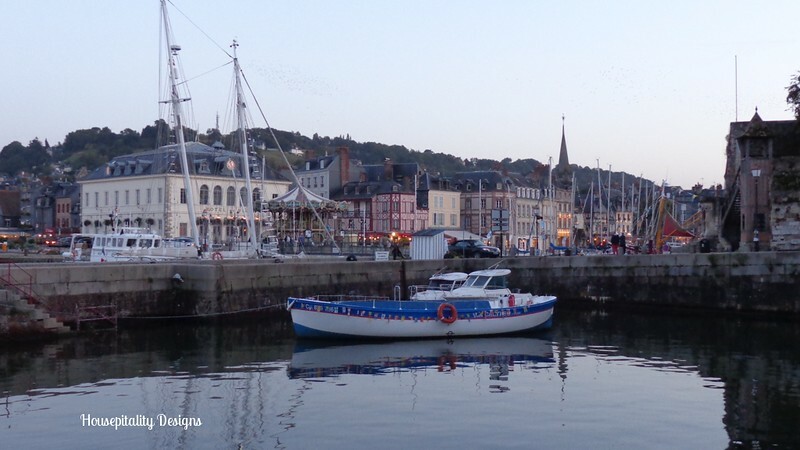 I didn’t get the one of Honfleur at dusk. Yes I agree…truly magical. Shirley, I’ve loved catching up on your last few posts… your gorgeous porch and your amazing trip to France. I can’t wait to see more pictures of your time there. It was wonderful seeing you and spending time together in person today – we will all have to do it again soon! I loved getting to see some of the photos, after hearing about your fabulous trip the other day Shirley!! It was so fun running into you too! You will be missed tomorrow! I hope you had fun at Lucketts! Oui, Oui, magical indeed Shirley and oh so charming! Looking forward to more beautiful photos of your trip! Enjoy your weekend! These photos are stunning! I especially love the first one ~ definitely frame worthy. 🙂 I think I could just stay in this little village and be happy. You must have had a wonderful time! What a beautiful place to visit. Oui, magical indeed! The first photo definitely needs to be framed as a reminder of your trip! grab your feed to stay up to date with impending post.